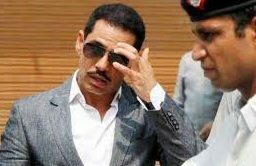 New Delhi: The Delhi High Court on Monday refused to grant any interim relief to Robert Vadra, brother-in-law of Congress president Rahul Gandhi. Vadra has challenged a money laundering case brought against him. A division bench of Justice Hima Kohli and Justice Vinod Goel asked the Centre and Enforcement Directorate (ED) to file response on Vadra and his close associate Manoj Arora’s plea challenging certain provisions of the Prevention of Money Laundering Act (PMLA). The court has also asked Vadra to file an affidavit explaining maintainability of his plea and listed the matter for further hearing on May 2. The trial court, which on March 19 extended Vadra’s interim protection from arrest till March 25, will hear his anticipatory bail plea. The Enforcement Directorate (ED) has questioned him in the case several times. The agency has also requested the trial court to dismiss his anticipatory bail as it may require his custodial interrogation in the case. The case relates to ownership of 1.9 million pounds overseas assets by Vadra. It pertains to undisclosed foreign assets and entities to evade tax.